As a Bentley owner, you know you’re in an exclusive group of drivers who get to experience the unparalleled luxury and performance of these incredible vehicles. Purchasing a Bentley is a considerable investment. To protect that investment, you should have your luxury repair shop perform regular maintenance on your Bentley. Keeping your European luxury vehicle in top shape is crucial for maximizing its resale value when you are ready to upgrade to a newer vehicle and sell the one you have now. Additionally, proper care and maintenance of your Bentley running at its best and prevent you from unnecessarily spending money on high-cost repairs. Just like any other vehicle, your Bentley’s air filter keeps debris and road grime out the engine and keeps it clean. The air filter itself needs to be kept clean, so replacing it regularly is a must. If your air filter is dirty, it can cause noticeable performance issues. Even though there are obvious similarities, Bentley’s are in a class of their own in many ways, including what they need for proper maintenance. 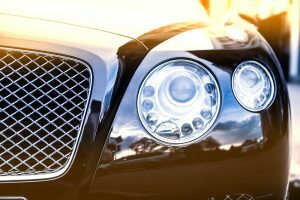 Make sure you find the right Bentley repair shop near you that understands what your luxury car needs. Your Bentley’s engine runs on five crucial lubricants. These fluids are engine oil, power steering fluid, transmission fluid, brake fluid, and antifreeze. If any of these fluid levels becomes low, or they get too dirty without changing, this could cause problems to your vehicle and lead to preventable repairs. Most car owners know how to check the level of their engine oil and antifreeze, but the other fluids often require a mechanic. If they’re worth their salt, your Bentley auto mechanic knows these crucial points of engine maintenance and will make sure your high-end machine is always at its best. A clean air filter and full fluid levels are not the only things that your Bentley auto repair technician should be looking for. In addition, the suspension and transmission also need to be serviced and cared for. The Bentley Owner’s Manual will outline all of these necessary maintenance schedules; depending on the age of the vehicle and how many miles it has on it. These components of your vehicle will require specific Bentley auto parts that you might not be able to find easy, so that’s why choosing a certified and qualified repair shop is crucial. Bentley ownership is a status symbol. At Otto’s European, we have two decades of experience helping our customers maintain these high-end status symbols. We use diagnostic equipment that the Bentley brand recommends. We understand that the Bentley luxury car brand cuts no corners, and we take a similar approach to the maintenance of these world-class machines. We always give our customers discreet, respectful and timely service to make sure their Bentleys are always at their best. Call us today to book an appointment or if you have any questions.